The distance between the frames of a bee hive plays an important role in the life of bees. The “bee space” is the precise gap within a hive or natural nest that bees won’t fill with wax or propolis. It enables the bees to crawl around in their home. The ideal distance somewhere between 4.5 mm and 9 mm. If the space is smaller than 4.5 mm, bees will seal that space with the resin-like propolis. If the space is bigger than 9 mm, bees will fill the space with extra wax comb. Why is the bee space so important for beekeepers and DIY hive builders? Respecting the bee space is crucial. Violating the bee space would result in a hive that is glued and filled everywhere and can’t be inspected anymore. Who invented the bee space? What do you think? Let’s see…Some researcher? Some biologist? Wrong! Of course, bees “invented” the bee space. Still, Rev. Lorenzo Langstroth was the first person to use the bee space in a hive. In 1852 he created the first hive with removable frames in a box. The modular, expandable hive with its removable, vertically hanging frames was the solution that worked well for both bees and beekeepers. Since then, this invention allows beekeepers all over the world the inspection of their bee colonies, without destroying the carefully built honeycomb. Even today, most people that think of a bee hive, visualize a Langstroth hive. 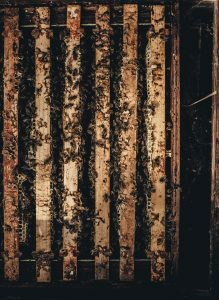 It is the most common hive type. You want to know more? Here you go.. 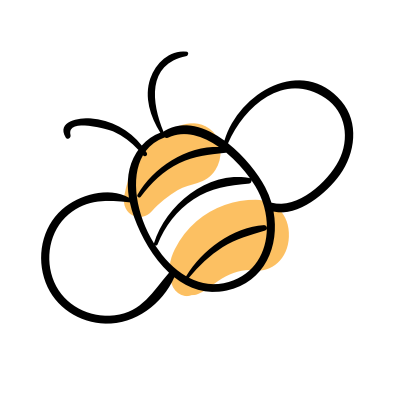 The bee space is not a variable number. There exist two distinct bands of possible bee spaces. The reason? In some situations the worker bees will work on their own, while in other situations they collaborate “back to back” with their sisters. <4 mm This gap is too small for worker bees to pass through. 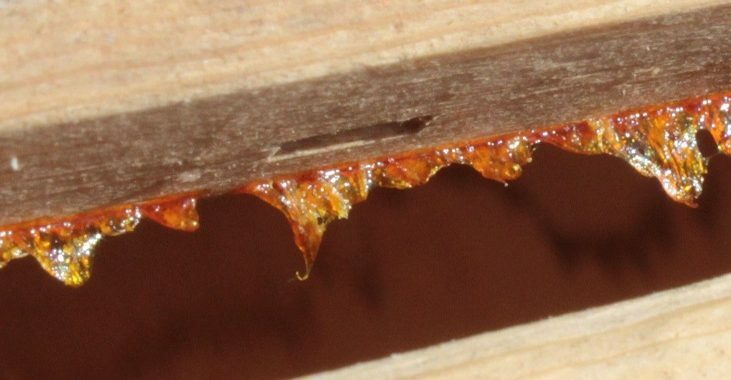 Any spaces, cracks or crevices of this or smaller dimension will be filled with propolis. 4.3 mm This is the standard European spacing for queen excluders. 5 mm This is can be an ideal distance for pollen strippers. Worker bees can get through, and collected pollen remains stuck on the grid. 5.2 – 5.4 mm This spacing can be used for the management of drones. Workers and queens can pass through, drones cannot. 6 mm It is the smallest gap that bees will leave between adjacent comb surfaces. Bees work individually within this dimension. The smaller gap around the periphery of the nest also renders the nest less susceptible to draughts, and may help in maintaining humidity. 7 mm This distance is not used by the bees themselves, but some people regard it as a valid bee space to use in some parts of beekeeping equipment. 9 mm This is the usual space the bees will leave between adjacent areas of capped brood. This allows two layers of bees to work back to back. >9 mm A gap larger than 9 mm will be filled with wax comb.